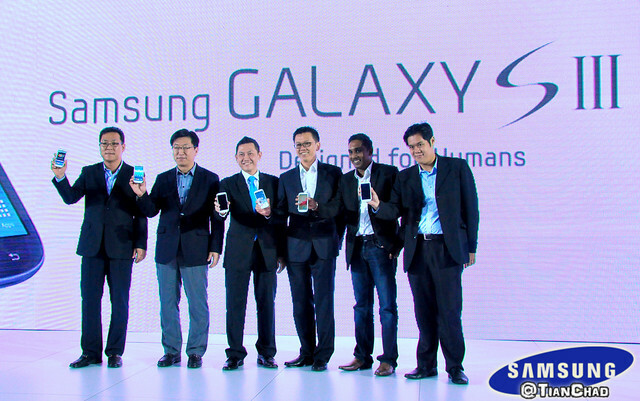 Samsung GALAXY S3 Malaysia Launch: Spec & Function Revealed! Price? Harlo! 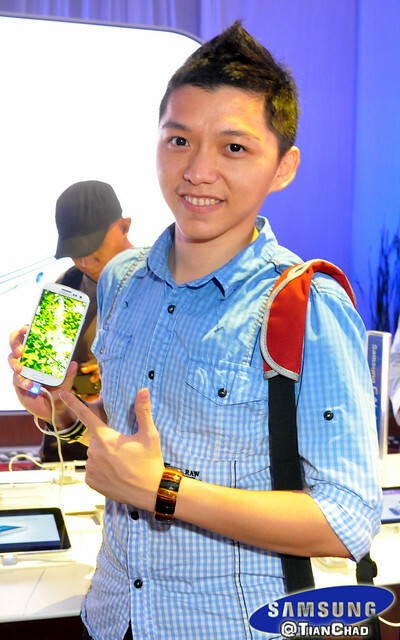 This is TianChad [TC] holding the brand new Samsung GALAXY S3 during the media tour. 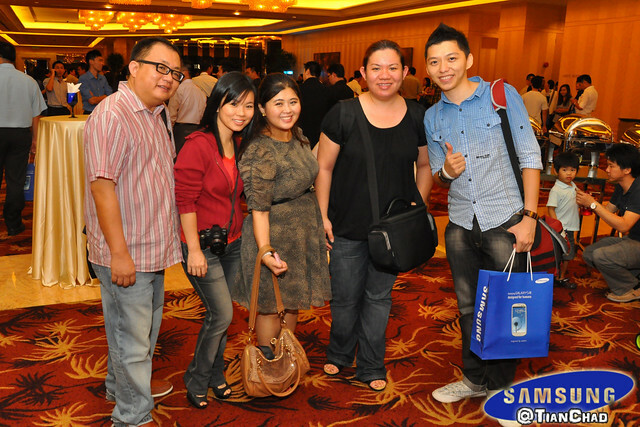 You can check out my first post - "SAMSUNG GALAXY S III LAUNCH IN MALAYSIA NOW!" 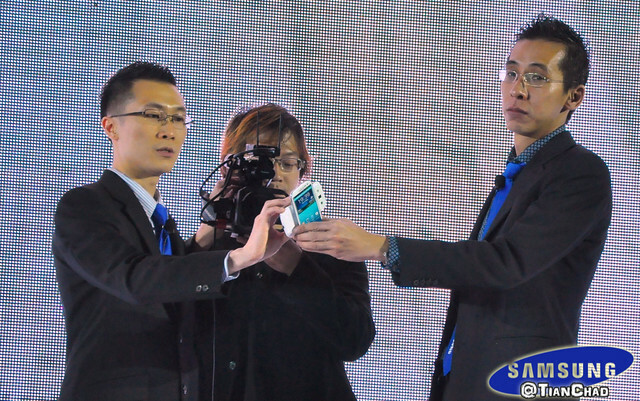 As usual I am going to share what I saw and captured through my camera during the launching of S3. 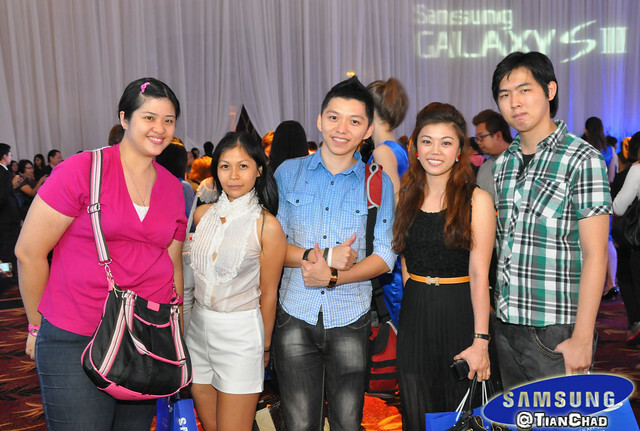 Four out of many Samsung Models appear at the launch. 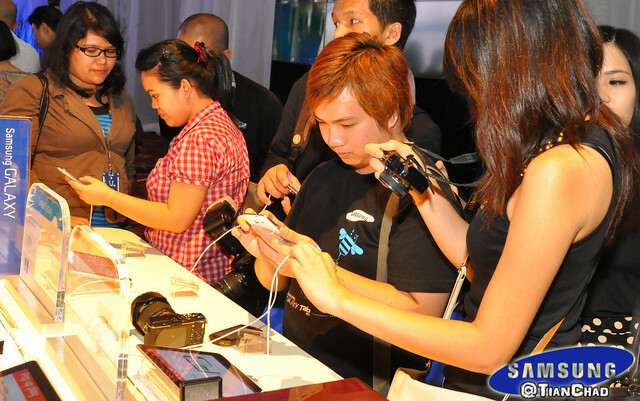 Media, Press including bloggers were at the launch busy capturing photos/videos. 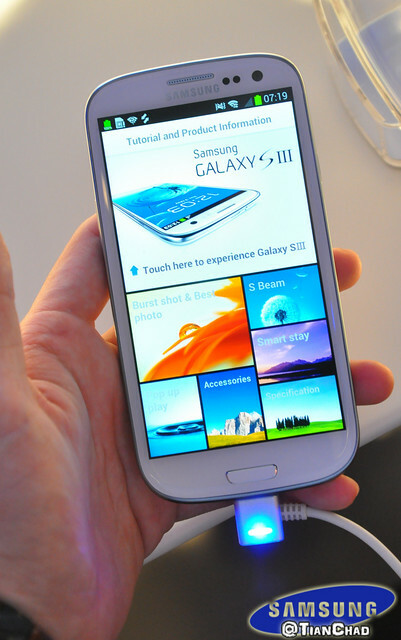 "By having the front camera identify your eyes; the phone maintains a bright display for continued viewing pleasure"
Sharing is now easy and instant with the new ‘S Beam’ which allows any large files including movie files to be transferred by simply touching another Samsung GALAXY S III phone, even without a Wi-Fi or cellular signal. 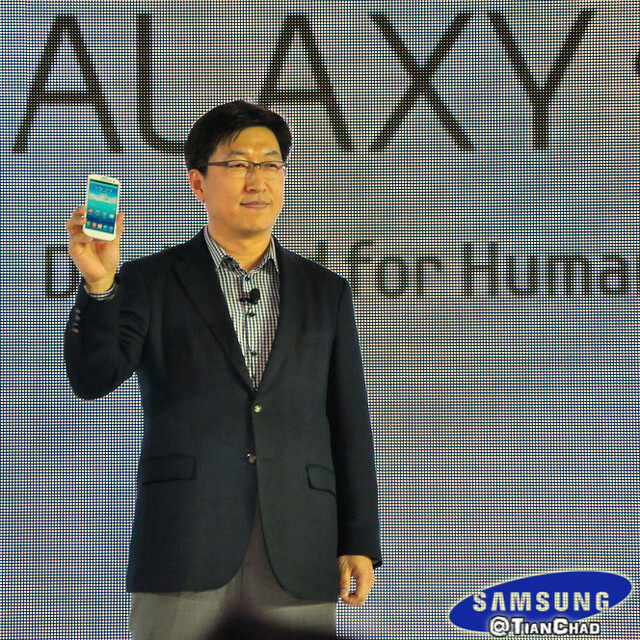 With ‘AllShare Play’, users can be also used to instantly share any forms of files between Samsung GALAXY S III and your tablet, PC, cameras and televisions regardless of the distance between the devices. Group Cast is a sub-feature of AllShare Play and basically lets Galaxy S3 owners share their screen with their friends on the same WiFi network and allow them to draw on it while sharing information in real-time. I don't think it is very helpful for me unless the users like"Draw-Something". S Voice, this feature will allow users to tell the phone to go into snooze mode, launch the camera application and snap a photo, play and control their music, turn the volume up or down, information search, text and email compositions and more. Honestly I won't ask my Samsung GALAXY SIII to capture a photo since pressing the "button"/screen is a lot faster than wiaitng for S Voice to process your order. 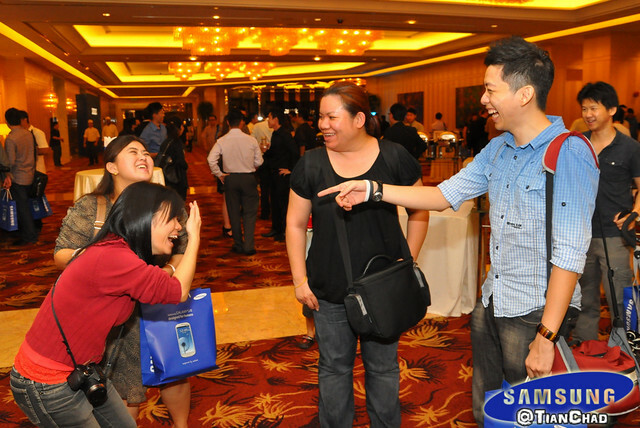 However, it is still a good feature if you want to show off to your friend hahaha. Someone ask why not U-Mobile? Or TuneTalk? The most photogenic among all I guess? 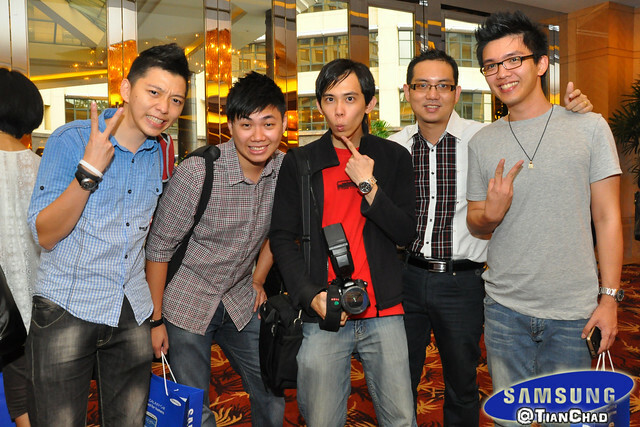 Another one after we went to a different hall where you can hands on the brand new Samsung GALAXY S3 including Samsung tablets too. 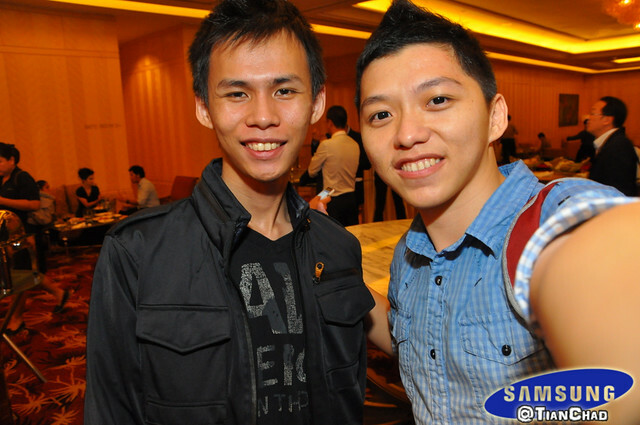 Everyone get themselves a Samsung GALAXY S3 to snap photo. Here's my attempt =) I wanna try out their Smart Stay function! 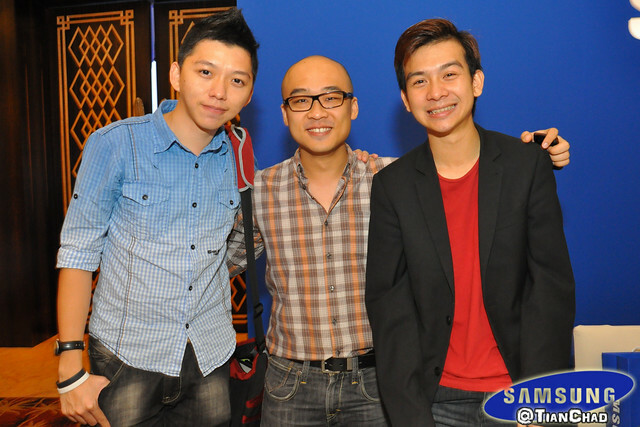 Media Q&A session about Samsung GALAXY S3 with Vincent Chong, Mr. Kwon Jae Hoon and Benn Lee Go. 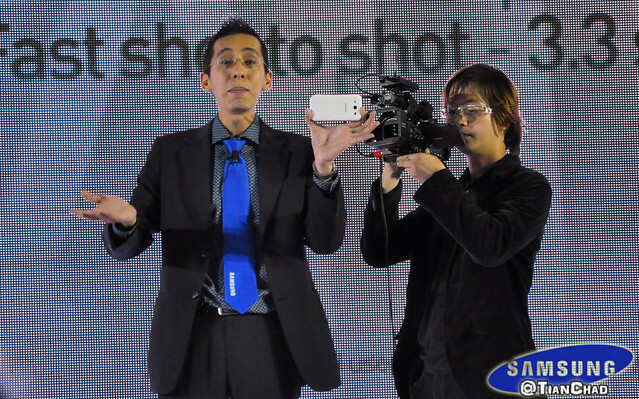 Things that amaze me during the Samsung GALAXY S III launch is their 60-feet LED screen that show the video and presentation. 2100mAh battery that can be charged wirelessly when attached to the dock accessory; S Beam quick file sharing and Always On features. 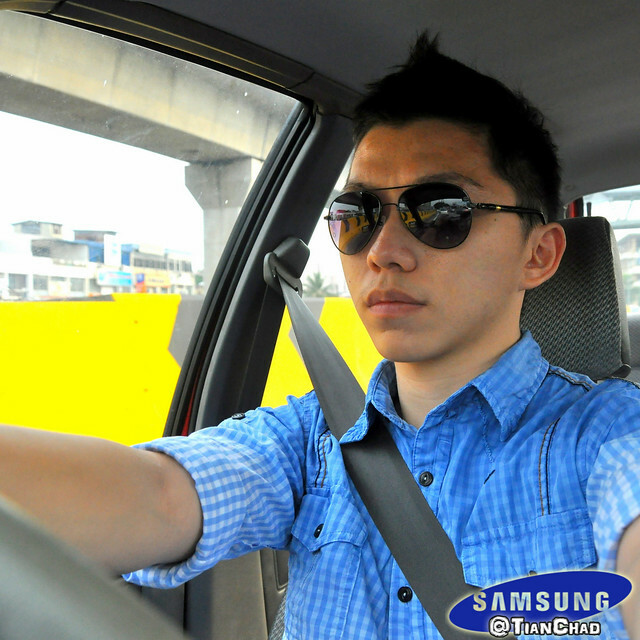 After all, you still need to experience itself to check how efficient Samsung GALAXY S3 is. 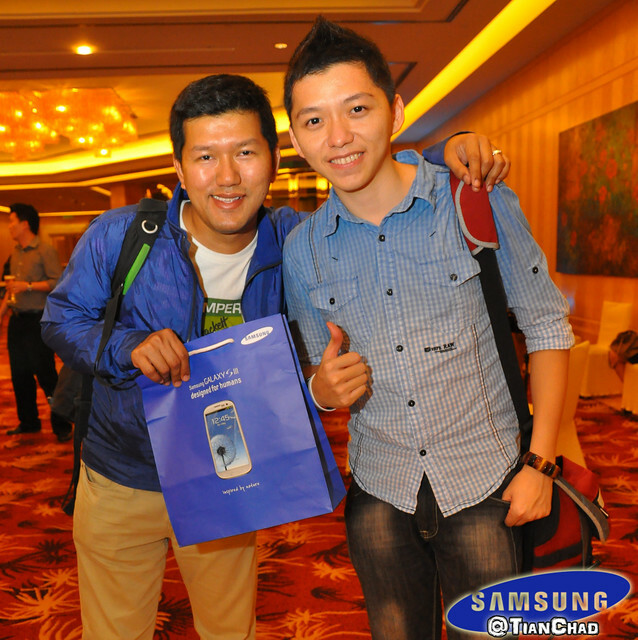 Too bad S3's S Voice can't recognize Chinese yet. It is a complicated language to be implemented though. The most enjoyable thing that I like to do with camera is to capture your precious moments =) I mean, how many people will have their loving moments captured and to be remember? 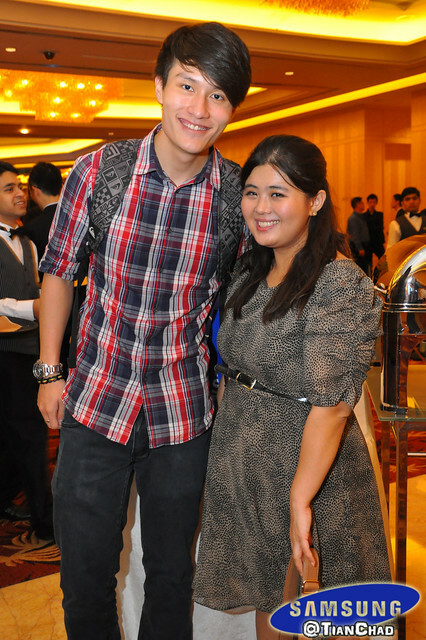 Pamela Lim - Met again after saw her at Exclusive Premier of "The Sparkle Project" with @YunaMusic. 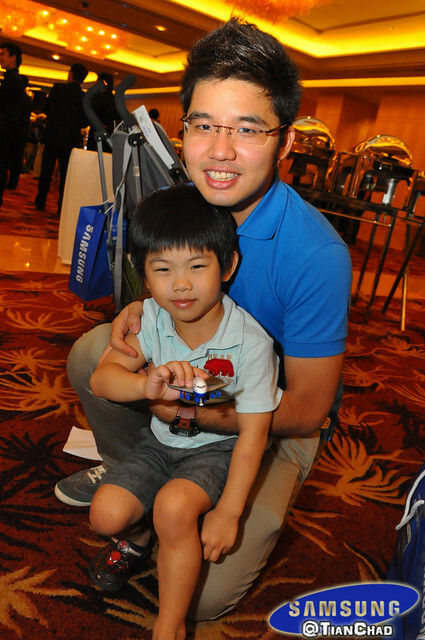 Here comes Sidney Kan for another group photo while Ethan was being console by his father. 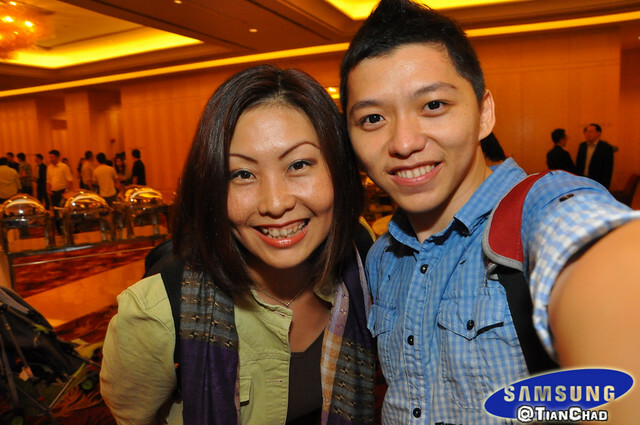 Jess Lee said, "Ok la snap photo with leng zai Darren"
SAMSUNG GALAXY S III LAUNCH IN MALAYSIA NOW! Exclusive Premier of "The Sparkle Project" with @YunaMusic. Creative MV! 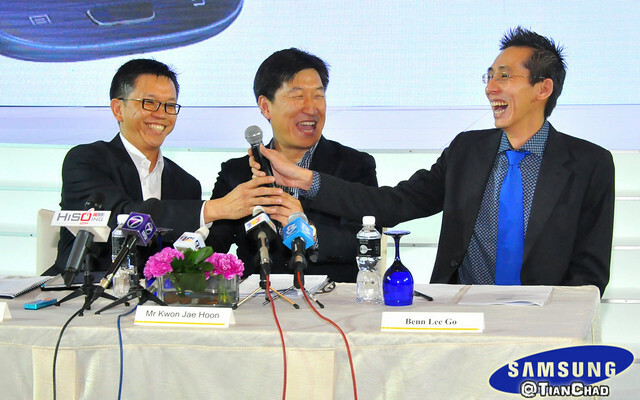 DiGi has revealed the price of Samsung GALAXY SIII at only RM999 but with 24 months of contract. How bout Celcom and Maxis? Stay tuned! 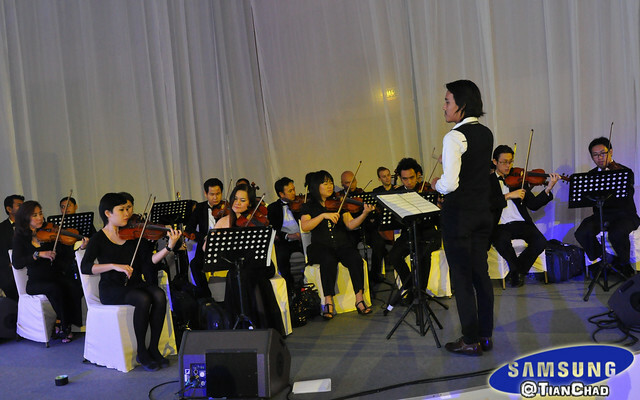 It will be available nationwide through Samsung’s telco partners Celcom, DiGi and Maxis beginning 31 May 2012, and Samsung Elite Partner outlets later in June 2012. 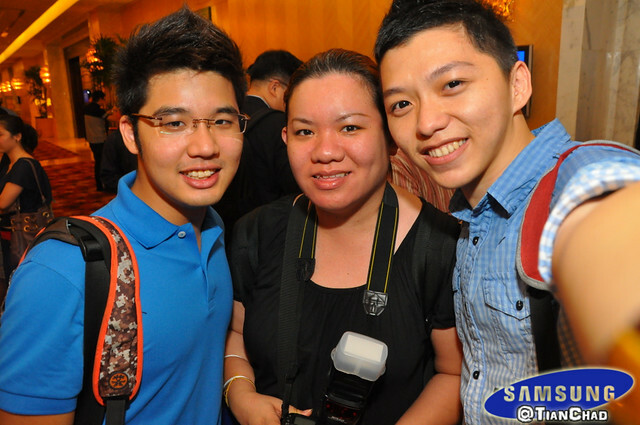 Please support me to become Samsung Global Blogger by visit link below and press the "SUPPORT" button! 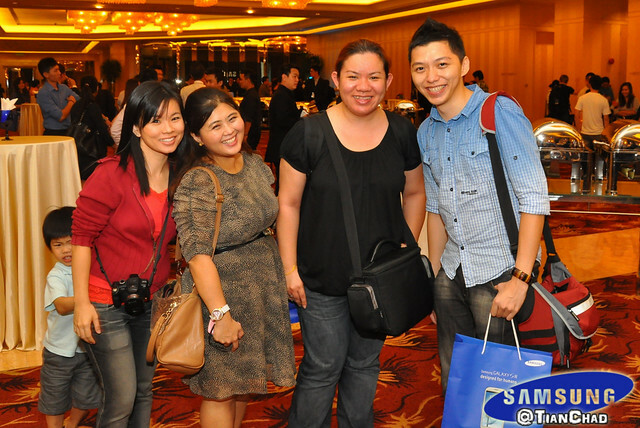 Check out other awesome finalists from Samsung Global Blogger official website now! 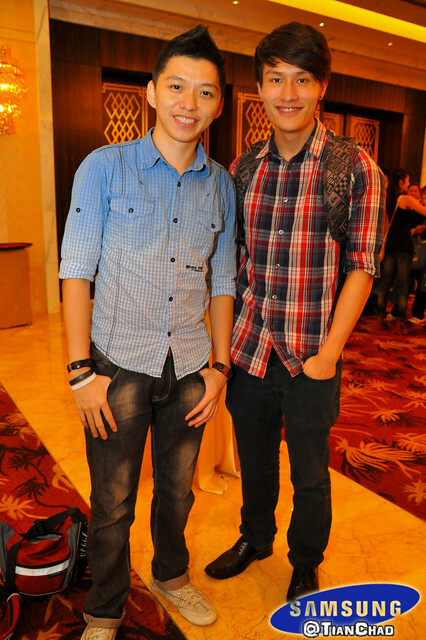 PS: Really appreciate you for reading this and support us =D Feel free to FB Share and Tweet for us! !